Debbie Shefke began her career in escrow in 1989. 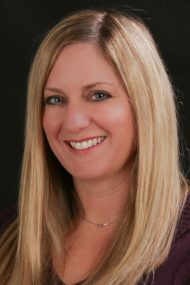 Hired by Stewart Title in 2002, Debbie’s experience covers new homes, commercial, and reverse mortgages, while specializing in refinance and resale business. Now in Roseville in the busy Douglas Blvd corridor, Debbie brings a combination of dedication combined with a soft, gentle approach to the escrow process, making each and every transaction a positive experience. Debbie’s business partner and colleague on her desk is Nicole Miller, who together with Debbie, have created an All-Star caliber team for Roseville’s branch of Stewart Title. It is without a doubt that this team’s success is predicated on their dedication to providing the most outstanding service to their clients on each and every escrow.